Often I want to take my PowerPoint slides and use them in Camtasia or Adobe Premiere. When using those products I render at Full HD 1920 x 1080. 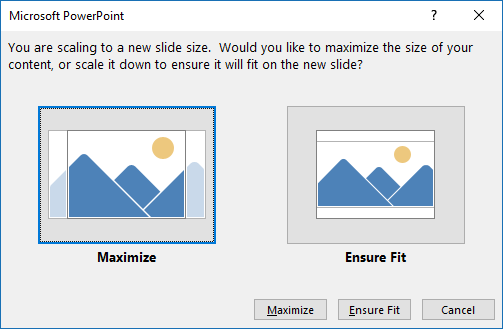 However, when I use the Save As command in PowerPoint to save my slide as a PNG the dimensions are never what I am looking for. 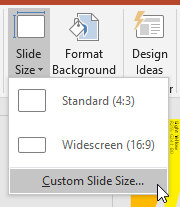 To get your slides to export as 1920 x 1080 you have to adjust the slide size before you export. 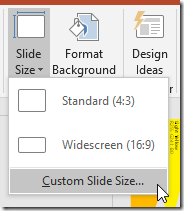 From the ribbon select Design and click Slide Size then select Custom Slide Size…. If prompted for scaling try both Ensure Fit and Maximize to see which works best for your slide. Below are example dimensions from using the table above. 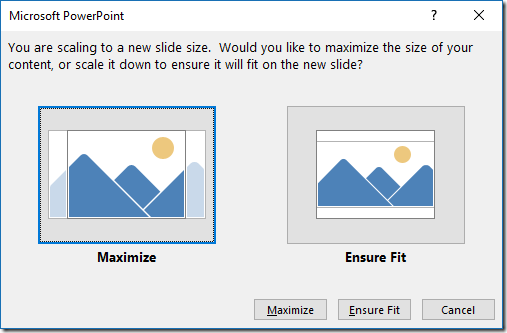 In this post I show you how to export slides from PowerPoint in resolutions for use in HD videos. Thanks for the link. I had found that as well. I just hate having to go into the registry for something this simple. This is the best explanation I can find on this. I like your answer because it is complete. Thanks Donovan. Is there a way to export 8K resolution?